Since the downturn of the economy, more and more homeowners are choosing to attempt electrical do-it-yourself projects than ever before – rather than hire a licensed electrician. The result is ever-increasing numbers of emergency room visits due to injuries and electrocutions while attempting to perform home electrical work. Even more concerning, however, are the estimated 44,800 home electrical fires each year caused by an electrical failure or malfunction. These fires result in approximately 472 deaths, 1,500 injuries and $1.6 billion in direct property damage. Arcing faults are the cause of more than 27,000 of these home fires, injuring and killing hundreds of people every year. Over 60% of deaths related to home fires occur due to smoke detectors that are not working or are not in operation. Electrical failure accounts for 89 percent of all residential electrical fires … and most can be prevented. Reoccurring blown fuses and tripped circuit breakers. A tingling sensation when you touch an electrical appliance or other metal objects. Switches or outlets that are warm to the touch, discolored or give off sparks. A persistent burning smell coming from an appliance, room, or area. Crackling, sizzling or buzzing sounds. If you experience any of these issues, call Sternberg Electric immediately at (651) 464-7359. Protect yourself, your home and your family by following these safety tips. In addition, print out our Home Electrical Safety Checklist. Take a tour of your home, identify potential hazards and make corrections as needed. Never attempt a home electrical project that is beyond your skill level. Hire a licensed electrician to help prevent electrical fires, injuries or death. Always turn off the power to a circuit you are working on by switching off the circuit breaker in the main service panel. Test wires before you touch them to ensure power has been turned off. Unplug lamps and appliances before working on them. Get a thorough home electrical safety inspection by a qualified, licensed electrician. Smoke detectors should be installed in every level of your home. In particular, position them inside and outside bedrooms. Ask your licensed electrician to evaluate the locations and style of the detector to ensure maximum effectiveness. Test your smoke detectors monthly. Develop and practice a fire evacuation plan. Match light bulb wattage to lighting and appliance recommendations. Install tamper-resistant outlet receptacles, especially if there are young children in your home. They are now required by code in all new residential housing. Extension cords are intended for temporary use, not permanent. Never use extension cords for portable heaters or air conditioners. Avoid overloading the outlets in your home. 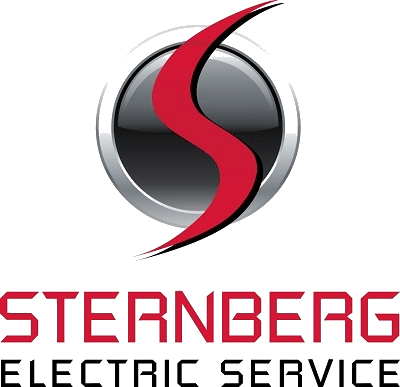 Contact Sternberg Electric to install additional outlets or circuits as needed. The National Fire Protection Association (NFPA) is a nonprofit organization that was established in 1896 and is the world’s leading advocate of fire prevention. We strongly support the efforts of the NFPA with fire prevention and electrical safety services.